Brand: Lorann Oils and Flavors L-1470 Units: 4 oz. 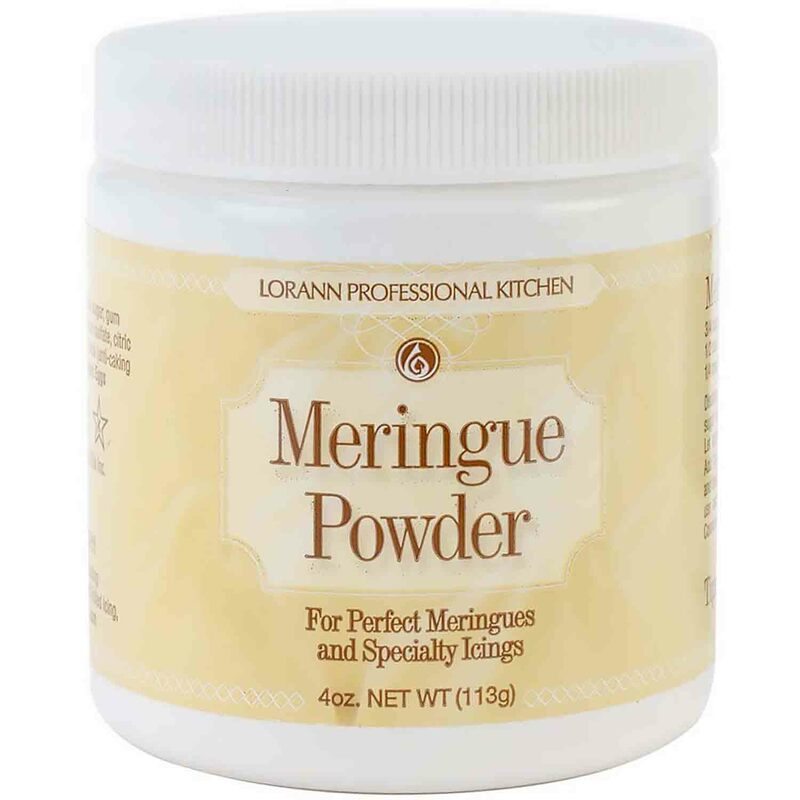 tub Meringue powder is used as an ingredient for making icing and meringue. Instructions are included on the package for making royal icing and meringue topping. Meringue powder is filled by weight and contents may settle. Meringue powder is used as an ingredient for making icing and meringue. Instructions are included on the package for making royal icing and meringue topping. Meringue powder is filled by weight and contents may settle. Ingredients: Corn Starch, Egg Whites, Sugar, Gum Arabic, Sodium Aluminum Sulfate, Citric Acid, Cream of Tartar, Silica, Vanillin.